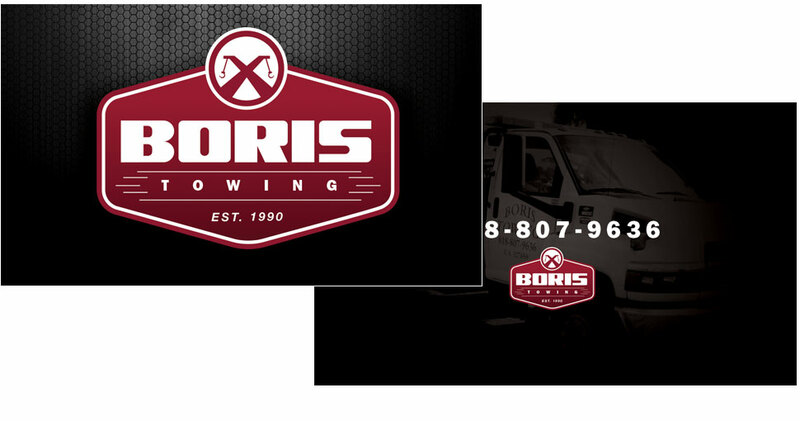 This towing company has been around for several years, but never had a logo. They wanted something simple and clean. We came up with several ideas where the towing arms and hooks of the tow-truck were incorporated within the logo. The client loved the idea but mentioned that it might look too small on his big truck. So we took another approach and made the logo look like a sign, and added his actual towing truck on the logo itself. Now he is represented in his company logo. The Business cards were printed on heavy matte stock, with UV on the logo only.